Update: Amazon just extended this sale thru midnight tonight (11/28)! Thru Sunday midnight tonight (11/28), you can save $10 when you spend $25 or more on books sold & shipped by Amazon. Just be sure to use the promo code HOLIDAYBOOK at checkout. If you wish to browse the thousands of books included in this promotion, go through this link – so you can be certain that your book(s) will be covered. **Tip**: You will save the $10 whether you spend $25.01 or $200.01 — so to maximize your percentage of savings, I recommend aiming to spend right around the $25 mark! And here are some KOAB favorite cookbooks — remember the widget* is showing the price before this promotion. And you do need to spend at least $25, so if you get one book that is under $25, you will need to get a second item. One of my absolute favorite cookbooks The Whole30: The 30-Day Guide to Total Health and Food Freedom for myself. (This cookbook is Whole30 – so no milk & meat, but it’s not entirely kosher. There are recipes you won’t be able to make.) Doing Whole30 — and modified Whole30 — is how I lost over 50 pounds, and have managed to keep it off for more than 4 months! 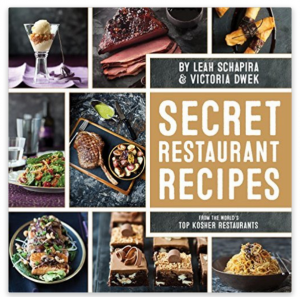 I’ve checked out this cookbook repeatedly from the library – and it’s great! A huge help when you’re doing a Whole30. I like that this newer version is heavier on the practical stuff. The theory is good, but I like recipes and grocery lists even more! **Keep in Mind**: During last year’s Book Deal, Amazon actually pulled the plug a few hours earlier than anticipated. So, don’t wait to place your order. Two things I love about this deal? #1. You get to save a lot of money on BOOKS – enough said, #amiright?? #2. The flexibility of this promotion is awesome – in the past, Amazon offered a percentage off only one book. Now you can choose – do you want to get one more expensive book? Or several less expensive books? Your choice – as long as you hit that $25+ mark, you’ll save the $10!! This promotion ends on Monday, November 28th at midnight PST. However, there is no guarantee that the book you want will remain in stock until then — so I definitely recommend shopping early! Makes a great deal on the new silver platter simple elegance cookbook! Only 15.49!! Good call! Here’s my link on that one, if anyone is looking for it! http://amzn.to/2fVAFHg Thanks AB!